Music streaming service Spotify has announced it will start hosting video advertising in Australia early next year. Spotify for Brands is launching two new advertising packages, Video Takeover on desktop and Sponsored Sessions on mobile. Although the platform is an audio music streaming service, Spotify is promoting its video packages as being “delivered in a 100% viewable environment”, giving brand partners “100% share of voice”. 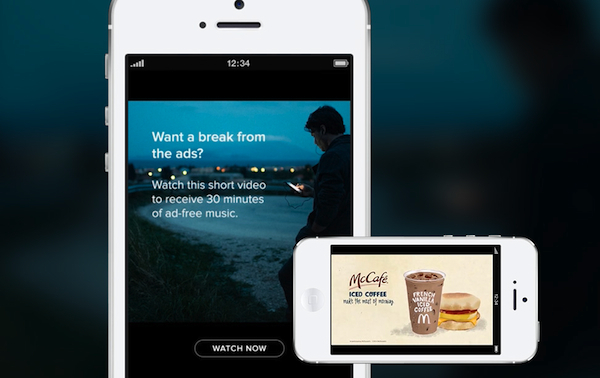 The desktop video advertising option, Video Takeover, serves users brand videos as part of the platform’s normal ad breaks, only when the client is in view. 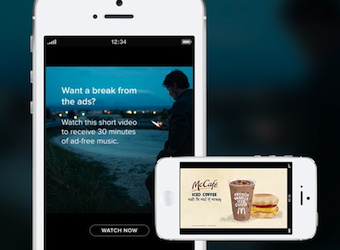 The mobile option, Sponsored Sessions, involves users viewing a 15 or 30 second video in exchange for receiving a 30-minute ad-free mobile session. Spotify will encourage brands to align their messaging with users’ daily activities while listening to the service, such as exercising, studying, partying and commuting. The company’s internal data shows that Spotify users spend an average of 84 minutes each per day on the service. Those who use Spotify across multiple devices spend about 146 minutes listening per day. Brands already signed up to the Spotify video advertising service include Coca-Cola, Ford, McDonalds and NBC Universal Pictures. “These new video ad units give us the opportunity to be a small part of people’s everyday passion for music and create better experiences across Spotify. Spotify now has more than 40 million active users, including more than 10 million paying subscribers, across 57 international markets. In Europe, it is responsible for record labels’ second-largest source of revenue from digital music.